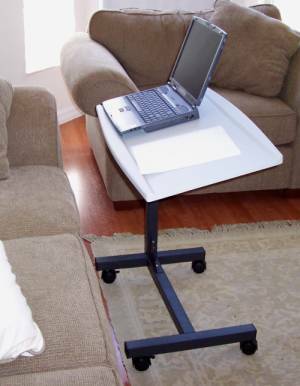 LM1 Rolling Laptop Over-bed table tray- height-adjustable up to 38" and tiltable! 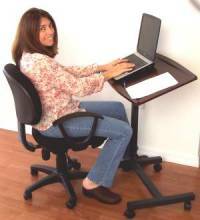 - Tilts both ways: can be used on either side of the bed. BACK in Stock. Ships TODAY! - "Headroom" required for sliding bottom frame under a bed or sofa: 4" w/casters attached; 2" w/o casters (check before ordering). 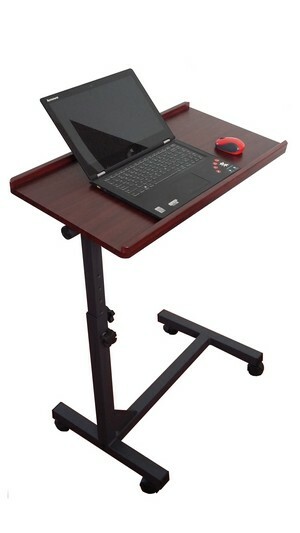 - Tabletop Height is adjustable in increments of 1", from 26 to 38", allowing standing operation! 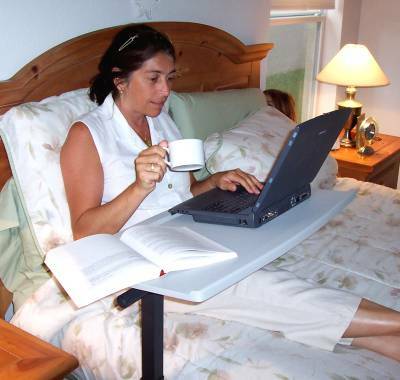 The original CUZZI LM1 laptop rolling overbed table allows height adjustments for bed, sitting or standing use. It is almost 28" wide, ensuring space for the laptop, a mouse, paperwork, etc... 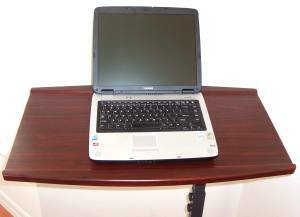 The table top tilts both ways, so it can be used on either side of a bed. * Strong: reinforced 1" square-tube H framing; 30% thicker walls; reinforcement bottom bracket; 2" casters, characteristics that set it apart from its many imitations. Two wheels are lockable. The edges of the tabletop have a 10 mm. lip to prevent elements from slipping off. 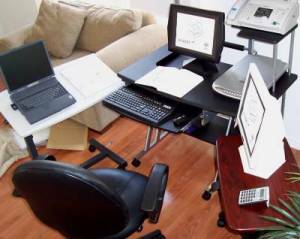 Easily create extra workspace in the office, conference room, home-office, trade shows, etc.